One of the fastest ways to get off the proverbial grid is to go camping - and make the tent your permanent or semi-permanent home. #1. Get a big sturdy tent. Because having lots of space inside there is definitely a plus. Especially if you have multiple people living in there. The extra sturdiness means it will be less bothered by wind and rain. You can even get a ridiculous multi-room tent like in the photo above. I don't know why but even the nicest tents sometimes leak - or have condensation that sneaks through. 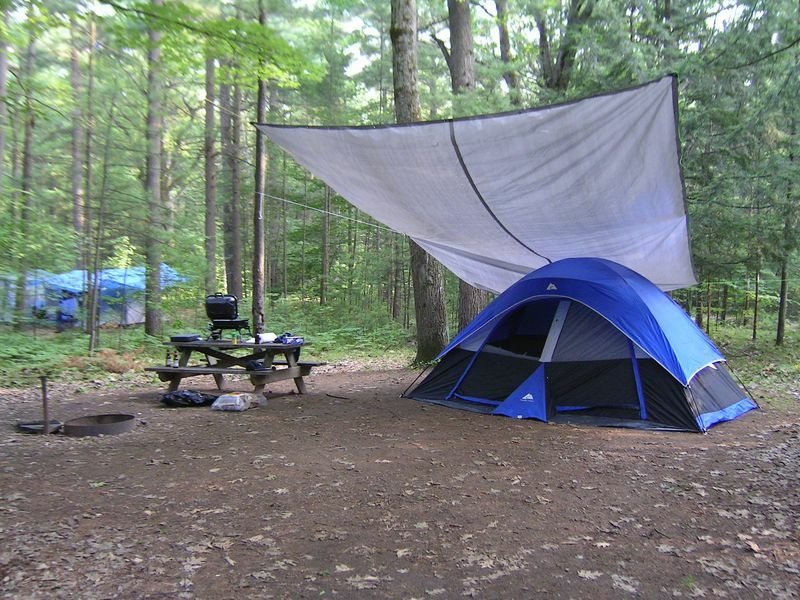 Having extra rainproof tarps going over the tent will keep out the excess damp. #3. 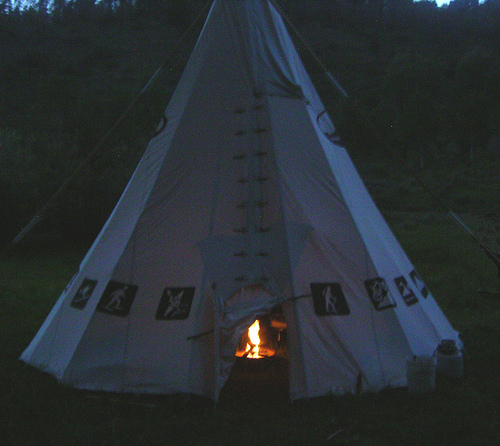 Learn how to build a large traditional teepee - complete with chimney and firepit. Honestly, this is the logical progression from the "big sturdy tent" to something you can actually cook food in without having to go outside. The fire means you can have extra heat in the tent, and the chimney means you aren't choking to death on smoke. Huzzah. #4. Learn how to cook over a fire. Trickier than you think. Hence why I am recommending the following book. #5. Learn how to forage for Food. This is the quickest and most obvious choice for finding your own food. You will need to research this in detail but in the meantime here is a book I recommend. #8. Learn to skin, butcher animals and COOK THEM! #10. Remember to bring lots of toilet paper. Yes, okay, you could use leaves - but remember to learn what poison ivy and poison oak looks like before wiping it on your bottom.